Sam checks out the iPhone app Plastic Bullet. A camera app with infinite possibilities. Now faster, higher-resolution, and with Facebook and Flickr sharing! 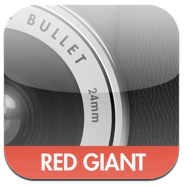 Develop images at maximum resolution on any device, including iPhone 4 with 5-megapixel output. Subscribe via iTunes! It’s free!!! This entry was posted in AppMinute Podcast and tagged in camera, megapixel, Plastic Bullet, resolution.